Senator Jason Schultz farms with his parents as they have together for over 20 years. He served seven years in the Iowa National Guard and also served as a volunteer firefighter for the Schleswig Volunteer Fire Department for 13 years, serving for two of those as the department’s chief. Senator Schultz has served as a member of the Horn Memorial Hospital Foundation. 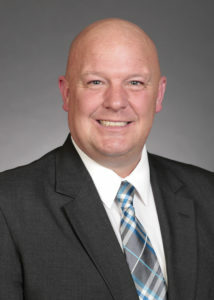 He also served three terms in the Iowa House, being first elected in 2008. He and his wife, Amy, have been married since 1996 and have two daughters: Josie and Camryn. They are members of Immanuel Lutheran Church in Schleswig.